I stood in a queue at the pharmacy dispensary this week awaiting a script, when I overheard the gentleman in front of me, explaining to the pharmacist about how he had just been booked off for 10 days to recoup. Failure to do so would mean he would land up in hospital facing a mental and physical breakdown. He was so young and should have been abounding in energy, yet I could see that he was so very stressed and I thought to myself, its only the first quarter of the year but people are burnt out already!! Again it reminded me about the whole ”balance” juggle in our lives. Why are we so very poor at getting it right? quality of life? Surely we were not put on this earth to only work? its more about refuelling you to cope with life’s stressors. To put back what you take out (and more) on a daily basis! See April as the month of refocusing on you and doing what it takes to allow you to not only cope but live life fully! Put those running shoes on, plug in the ipod and hit the tar or the beach or the treadmill. Sweat. Breathe. Stretch. Feel the endorphins kick in (pure happiness) or if reading a book with a glass of vino or singing out loud or even playing more with your kids is your thing- DO IT! Spend time doing more of the things that top you up rather than empty you out! Skin Rejuvenation or Grooming… Leave it to us your experts, we can expertly undo all that stress and tension. 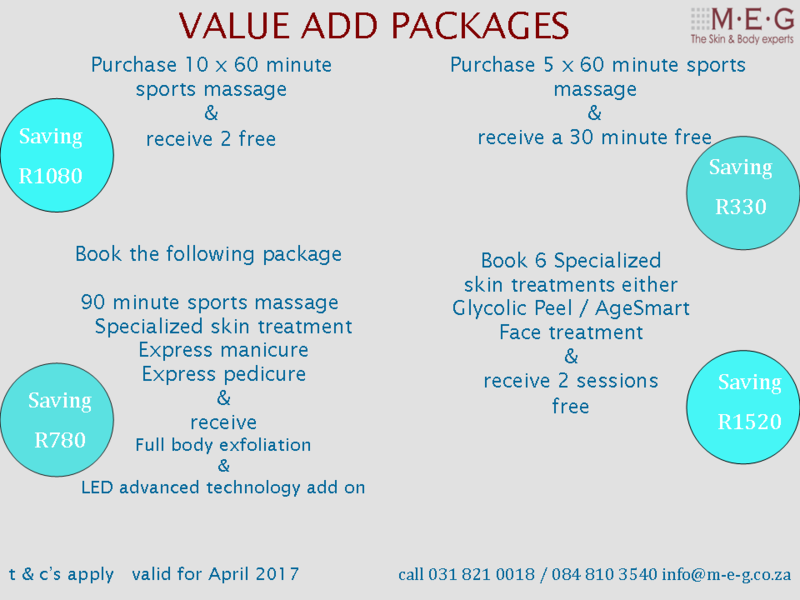 Just to help you along your path to a NEW YOU– we have created some awesome value add packages to help bring you in more frequently and give you even more value for your buck! The challenge is on…what changes will you make to change your rut?